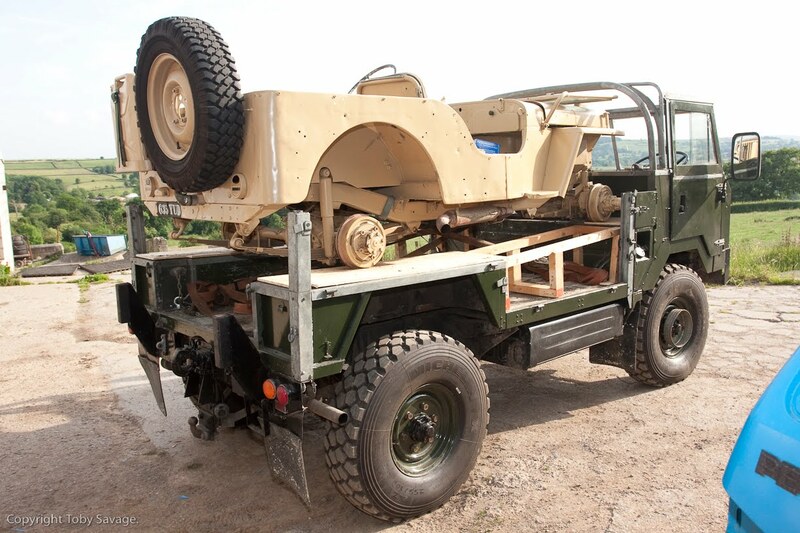 Sand, Wind and Stars - LRDG, 70 years on: Progress with the hardware. A long day up at Matt’s workshop near Matlock achieved a lot yesterday. The Willy’s MB received a new Solex Carburettor, which rectified the tick-over problem, but did get rather hot on the thrash up the M1 so I think it will need a refurbished radiator to cope with the intense heat of the Sahara next Easter. It is, however, fine for now and ran well on the journey back, cruising at an easy 50 mph. The Land Rover 101 had most of the attention though. 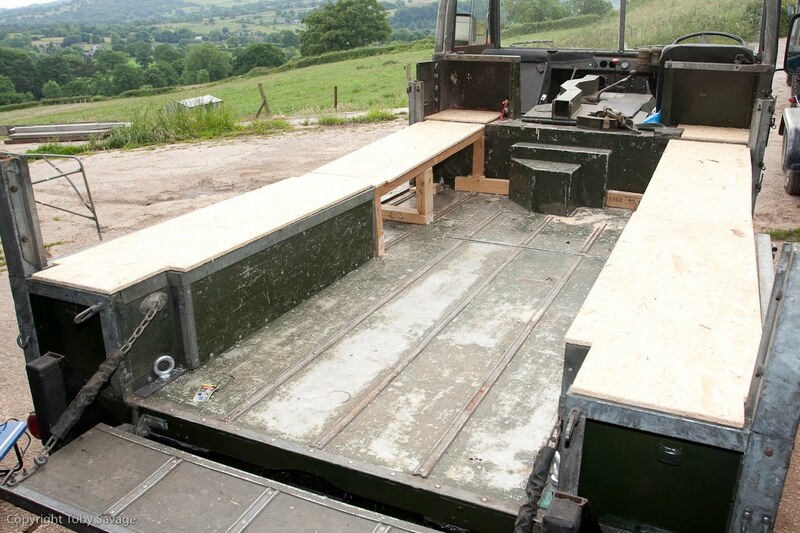 Wooden decking and a supporting framework of timber made it possible, and safe, to transport the Willy’s within the body of the 101. We finished lashing the Jeep down at about 6.30 and did a successful test run back to Matt’s house 8 miles away. 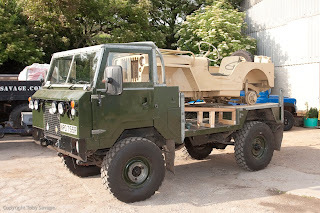 The final version of this prototype configuration will have some high density rubber under the brakes to protect the cast iron drums and with the spare wheel and jerry can removed the canvas roof will fit back on leaving just a little bump for the steering wheel. Work also started on fabricating a pair of ramps to return the Willy’s to the ground in the absence of a four poster ramp. The plan is to haul both Jeeps - the Willy’s in the back of the 101 and the Ford on a trailer behind, to Venice, to catch the ferry to Alexandria next March. This was damn the smartest solution I've seen in a long time! I remember we talked about this Toby when I met you a few weeks ago, but I missed it by taking off the wheels to avoid a loud and shaky rig. Even Affers idea with some sort of shot wagon wheels is very good! Cast Iron Parts is a bit tricky, tolerate sometimes surprising bit of stress from unexpected directions. A pothole outside Naples can mess with our proud plans. Will not happen! You are both so right. The finished item will have some kind of rubber cushion. Though the wood is quite soft and thew brake drums made their own resting place. The finished item will be foolproof! Thanks for your help both.